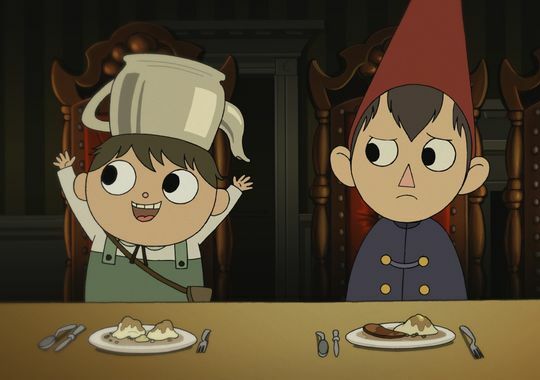 On the heels of groundbreaker Over the Garden Wall's Emmy win, we take a look at the burgeoning market for miniseries and how kids prodcos and networks are dipping their experimental toes into the format for traditional broadcast and SVOD. As kids and families today become more accustomed to binge-watching their favorite shows wherever and whenever they want, content producers are increasingly utilizing the miniseries format for event programming. 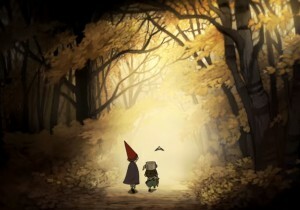 Cartoon Network US broke new ground over five consecutive nights last November when it launched its first-ever original miniseries, Over the Garden Wall, created by the former creative director of Adventure Time, Patrick McHale. The 10 x 11-minute comedy/fantasy about two brothers who find themselves trapped in a strange forest world was a risk for the network, but it paid off. The miniseries reached a total of 4,277,000 viewers ages two and up and delivered ratings growth with each new episode. 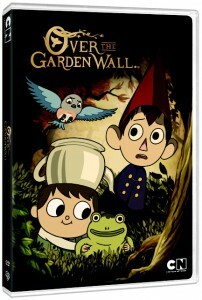 Interestingly, Over the Garden Wall had the same kind of performance when Cartoon Network released it globally at different times of the year. It’s also been performing well on the Cartoon Network Anything app since its debut, and a consumer products program is set to launch this fall. Building on the success of Over the Garden Wall, Cartoon Network is launching two new miniseries later this year—an Adventure Time eight-parter and an original multi-part series entitled Long Live the Royals from the creative unit behind Regular Show. It’s a comedy about a royal family struggling to balance the responsibilities of ruling a kingdom with life as a normal family. Cartoon Network CMO Michael Ouweleen says miniseries provide the network with more opportunities to try different creative textures and give new properties a chance to get on air. “It’s more of a development tool than a scheduling tactic,” he says. “It’s much easier to think, ‘This needs to be made, let’s find the right format.’ The budget is not the driving part of the conversation, and that freedom of thought has allowed the network to be more experimental. And then it matches audience behavior, or the binge-watching of today.” The challenging part, he adds, is getting writers to adapt to a longer, more serialized format. 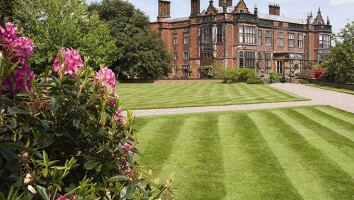 Another miniseries success story comes from Disney EMEA and its Liverpool, England-based production partner Lime Pictures with their live-action, teen-skewing Evermoor property. Evermoor launched in fall 2014 on Disney Channel in 123 countries, including the US, EMEA, Latin America and Australia, as a four-part miniseries. It was also packaged as an original movie for select markets. 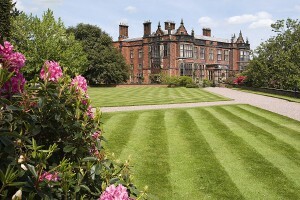 Created by House of Anubis alums Tim Compton and Diane Whitley, the miniseries follows the story of American teenager Tara Crossley, who gets caught up in a mystery after moving with her family from the US to a spooky mansion in a small village in England. The show has so far reached 5.2 million viewers in 11 measured EMEA markets, and 2.7 million of its total viewers were kids. And according to BARB/AdvantEdge consolidated data, Evermoor was the second-highest-rated series on Disney Channel UK when it debuted last October, attracting more than 1.6 million viewers, with more than one in five girls ages eight to 12 tuning in. From the beginning, Disney’s strategy with Evermoor was to also create a show with spin-off potential. And following Evermoor’s success, Disney EMEA greenlit a 20 x 22-minute full season in March called The Evermoor Chronicles that is set debut later this year. “As soon as we started developing Evermoor, we developed it in a way that could be a springboard for a series,” says Levine. “We invested a lot in the sets, the talent, the writing teams and the production company.” In fact, Levine says Disney EMEA’s biggest priority postlaunch has been to build out the talent. To that end, two of its stars, Georgia Lock and Finney Cassidy, were recently tapped to co-host Disney UK and Ireland’s new factual cooking show, First Class Chefs. “The miniseries format can be a great talent incubator,” Levine adds. Next up for the Mouse House is Mère et Fille: California Dream, a brand-new four-part miniseries from Disney EMEA’s French team based on the popular Mère et Fille interstitials that have been running on Disney Channel France since September 2012. The series, which was shot in Paris and L.A. in April and May, will also be packaged as a movie and is scheduled to air in early 2016. Looking at other international kids networks, Australia’s ABC3 is set to launch an ambitious teen miniseries event of its own with Tomorrow, When the War Began. Now in production and slated to premiere in Q2 2016, the six x one-hour dramatic miniseries produced in partnership with Sydney-based Ambience Entertainment (Figaro Pho) is adapted from the bestselling novels in The Tomorrow Series by Aussie writer John Marsden. While Cartoon Network, Disney and ABC3 fine-tune their ongoing miniseries strategies for older kids, some studios are turning to the format for younger audiences. Lili & Lola is a five x seven-minute animated miniseries for preschoolers created by Shabnam Rezaei and Aly Jetha, the co-owners of Vancouver, Canada-based Big Bad Boo Studios (1001 Nights). The series follows the big-city adventures of two sisters and their Iranian-Canadian family, who live in a small apartment in a building filled with interesting people from all over the world. Rezaei says the decision to choose a miniseries format played nicely into the changing distribution landscape and resulted in Lili & Lola becoming the first original production to launch on multilingual OTT kids channel Oznoz (Rezaei and Jetha are its co-founders). Lili & Lola‘s digital-first July debut in Persian has given Big Bad Boo a quicker means to use the series as a test bed for planned spin-off concepts. “We have the luxury of being able to test it on Oznoz with an existing customer base,” Rezaei says, noting that the series has boosted the service’s Persian customer subscription base by 70% since its debut. On traditional television, the show is available on Canadian province British Columbia’s Shaw Multicultural Channel and will launch on two more Canadian multicultural channels (Montreal’s ICI Television and Toronto’s TenTV) this fall. Rezaei says packaging the miniseries for a traditional broadcaster was a bit tricky. “With Shaw’s half-hour slot, we made it work by being creative with bumpers, short trailers and a sponsor message to fill it up,” she says. While Big Bad Boo looks to raise funds for five new episodes of Lili & Lola, the prodco is currently in development on 16 Hudson, a spin-off series supported by Canada’s TVOKids. The proposed 78 x seven-minute show will feature a larger world of characters and locations from Lili & Lola and be supported by a web and app series. Ultimately, Rezaei hopes to produce multiple miniseries under the Lili & Lola umbrella, each featuring a new family from a different country. “Montreal’s Nuevo Mundo TV has expressed interest in our concept for Nick & Nora, a Hispanic family from the Lili & Lola world,” she says. This feature was first published in Kidscreen‘s September 2015 issue.